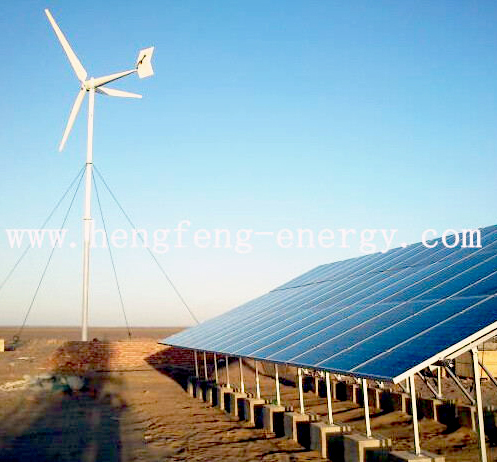 Hengfeng hybrid wind solar power system using the local wind and solar resourses complementary to each other, with high cost -effective of performance a new type energy power generation system. 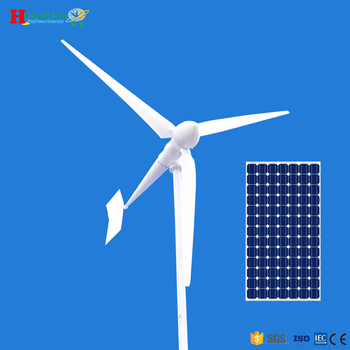 wind and solar power has natural complementary advantages, daytime solar stronger,and at night wind more, summer sunshine good, weak wind; windter and spring wind strong,weak sunshine. 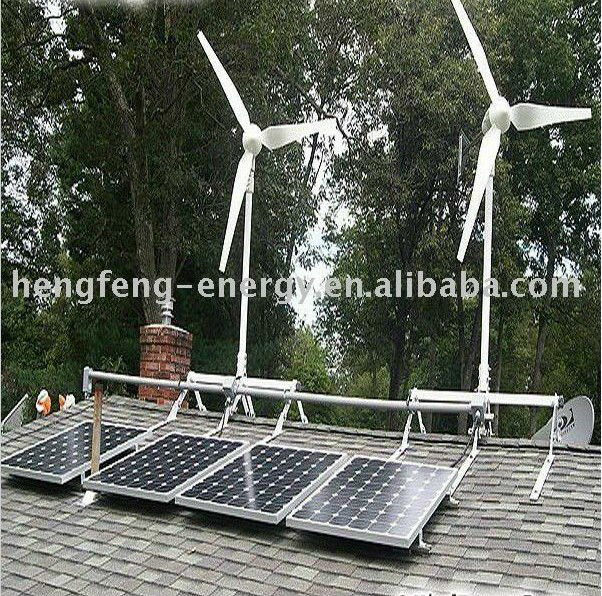 The hybrid solar wind generator can effectively improve the stability of the entire system. 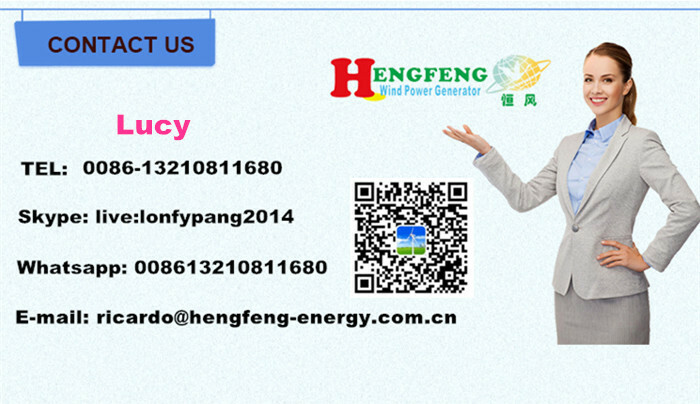 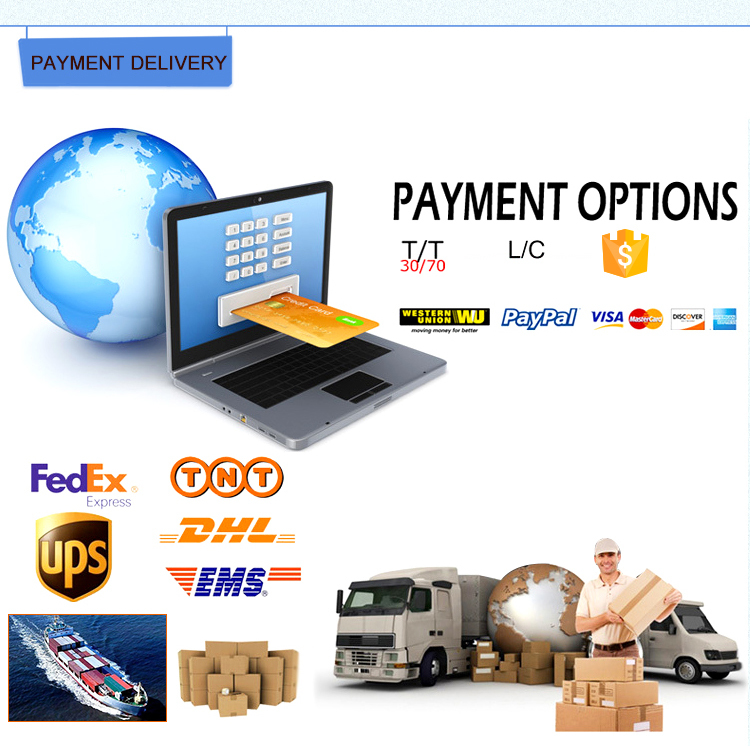 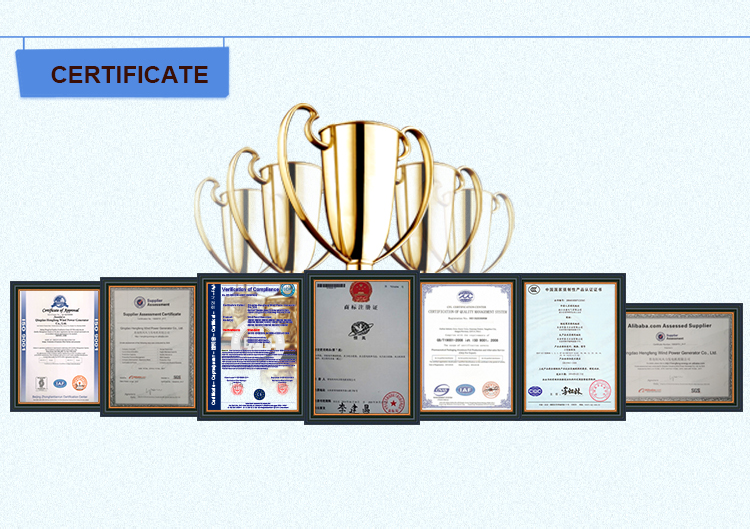 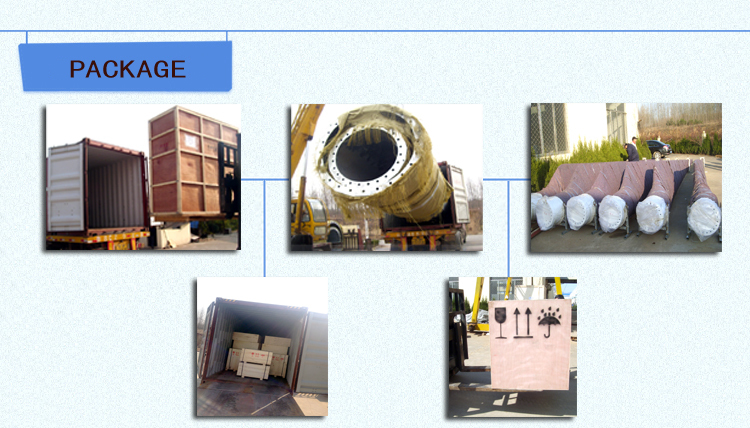 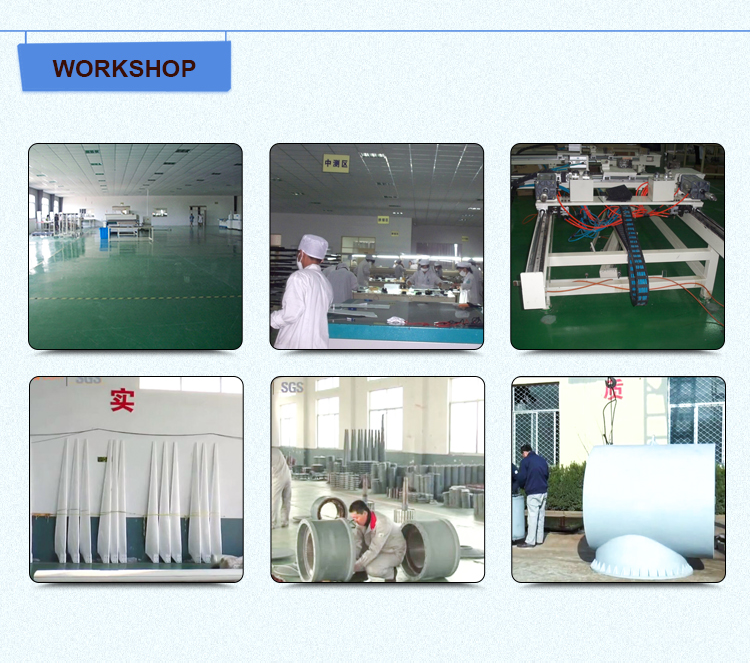 The wind turbine hybrid system total power is 5.2kw,it consist by 2sets 2kw wind turbine and 1.2kw solar panels.